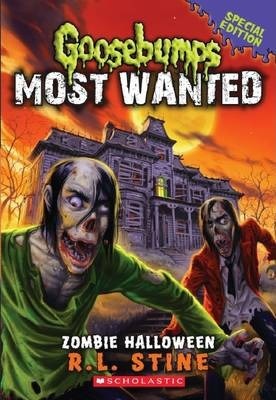 The infamous, Most Wanted Goosebumps characters are out on the loose and after you. Just in time for Halloween, a super special edition! Kenny Manzetti was the new kid in town. His family moved back in to an old house to help take care of his grandfather. Everyone in his new neighborhood is obsessed with zombies--even Grandpa Mo. But then a new family moves in next door and there choice in furniture is...interesting. Kenny is convinced that there is something strange about the new neighbors but his parents won't listen to him. So Kenny and his friends go in for a closer look. A bad idea on any day but definitely the wrong choice around Halloween. Will Kenny survive long enough to go trick or treating? With an extended page count this special edition is a scream!